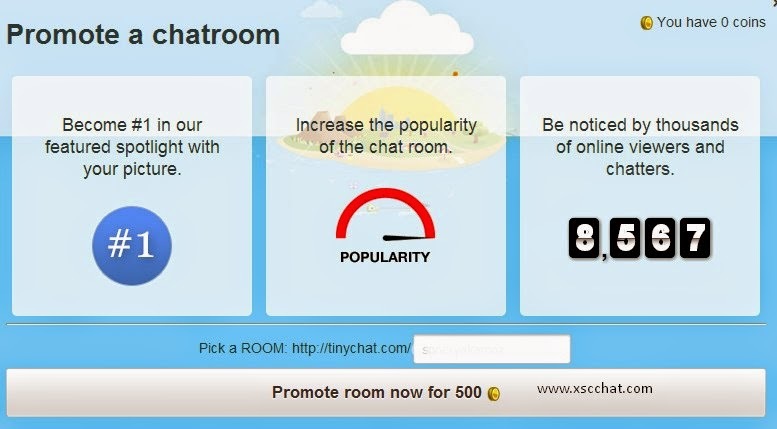 How To Promote A Room On Tinychat? Tinychat allows users to create their own chat room for free. You can get a free chat room by clicking to "Instant Room" or "Personalized Room". When you create a free account on Tinychat; you'll get free chatroom with your username. That's personalized room. If you click to Instant Room; there'll be random link for your chat group and you don't need to sign up here. If you promote your chat gorup on Tinychat, you may get more users in your chat group; you may increase your group popularity and your group will be noticed by thousands of people. So there will be more online people in your group. You must login on Tinychat to Promote your group. When you enter Tinychat, you'll see Promoted Chat Groups above the another random groups. You must click to "Promoted" and Pick a Room here to be promoted. 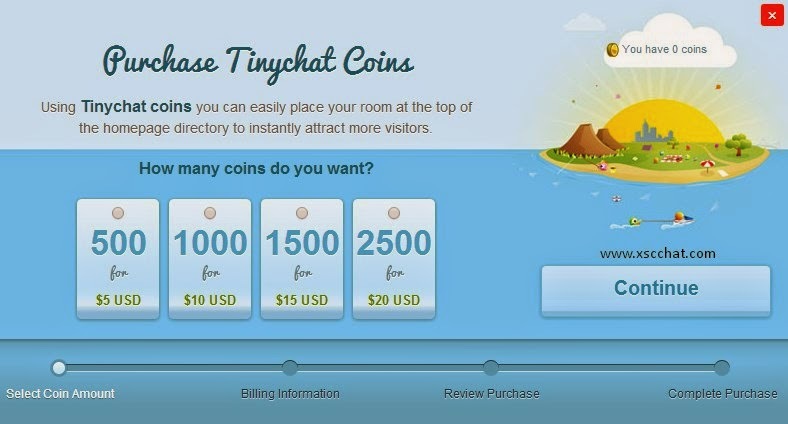 You must select and of them and continue in order to purchase coins on Tinychat. After you buy it, you may promote your group on Tinychat for 500 coins. Don't forget that also, Tinychat is a global video chat site, any strangers may enter your chat group; they may capture you while broadcasting. Also don't be rude and we don't offer you to give any personal informations on Group and while chatting etc.